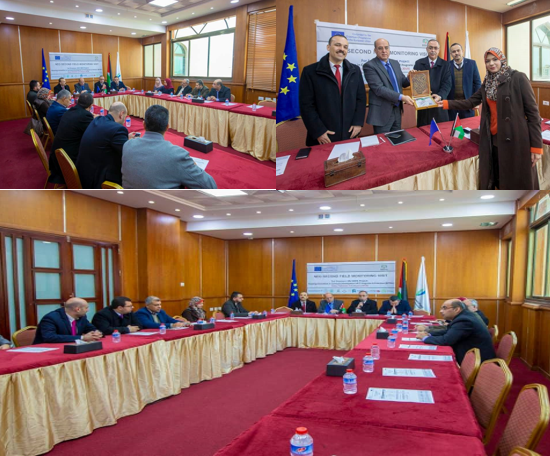 Gaza : The Palestinian Information Technology Association of Companies ( PITA ) participated in a lengthy session to follow up and evaluate the EU – funded BITPAL project , the Erasmus Plus program . This was part of a panel discussion with Dr. Nidal Jayousi, representative of the Palestinian-European Cooperation Office The University College of Applied Sciences, the project management and all the partners from the Palestinian universities and some European universities and incubators. During the meeting, contributions were made to the project by studying the local and regional labor market; the participation of the member companies in feedback The development of a work plan for the partnership between the private sector and the academic sector of the centers of excellence; in addition to active participation in the activities of the project, including a close working trip involving a number of member companies and other activities. This comes within the strategic focus of the beta work of developing the relationship with the academic sector and supporting scientific research efforts.